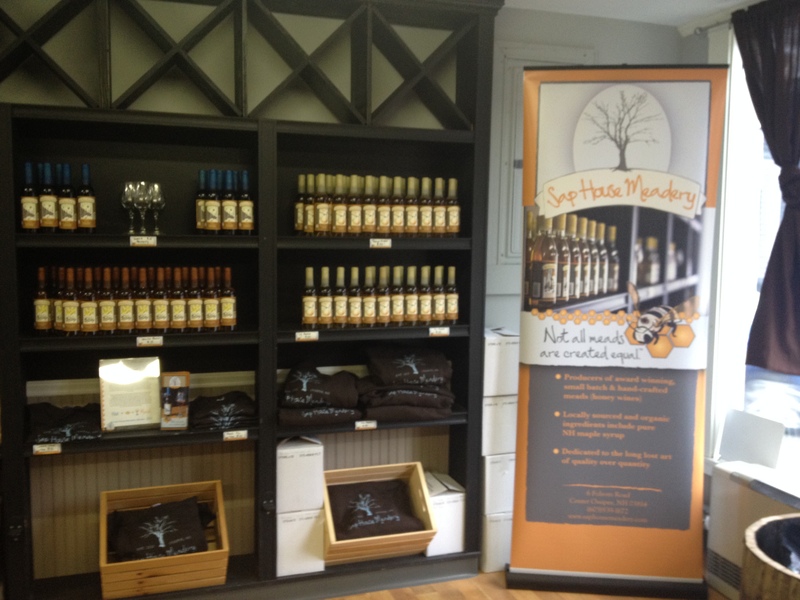 Sap House Meadery, Center Ossipee, NH – Breweries, Wineries and the fun in between! 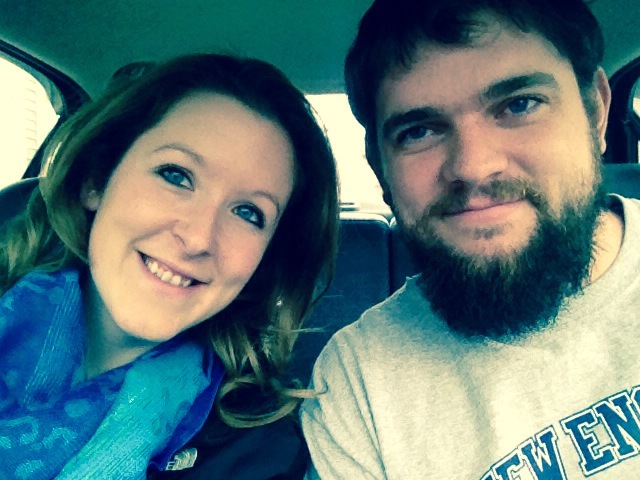 Mark and I recently went to the Sap House Meadery, located in Center Ossipee, New Hampshire. There, we were greeted by Matt, one of the owners. We had a nice tasting, followed by a tour of their production room. Sugar Maple: 13.8% ABV. Not too sweet, good balance. Both Mark and I were pleasantly surprised by the level of sweetness. Hopped Blueberry Maple: 14.6% ABV. Were told that this was the mead for the beer drinker. The hops added a nice flavor to the mead, and no one flavor pushed around the other. Honey, blueberry with a touch of maple with hops to balance. Ossipioja: 14.2% ABV. The wine drinkers mead. They use Spanish grape juice, made from Tempranillo grapes, with honey. This was good and different! After we finished the traditional tasting, and we were talking about different places we like to go, what we like to drink, etc, we tried the Sugar Maple again- this time after it had been aged in an American Oak Cask. This was very good, and added a slight whiskey flavor to it. 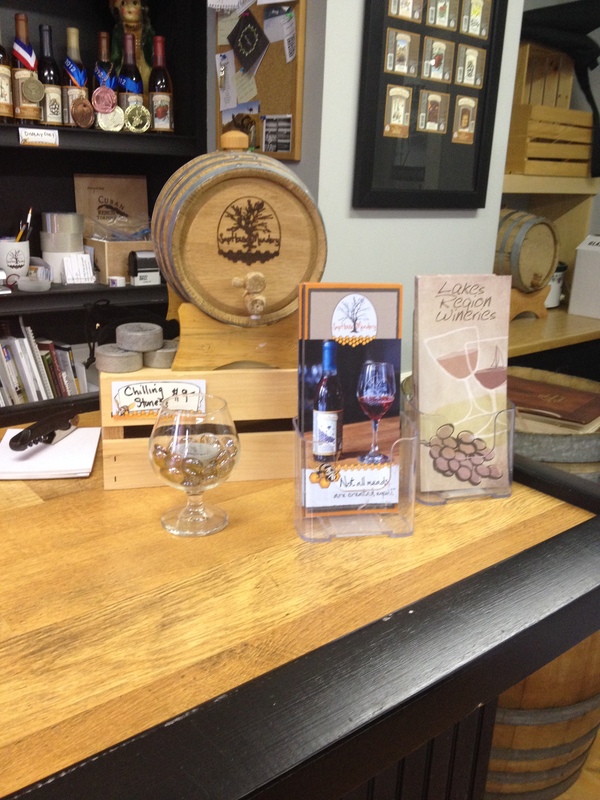 The meadery sells small casks for people to age their mead at home. They also have their casks at a few different establishments and noted that the flavor changes as it ages. You could go one week and the next and have something that tastes very different. 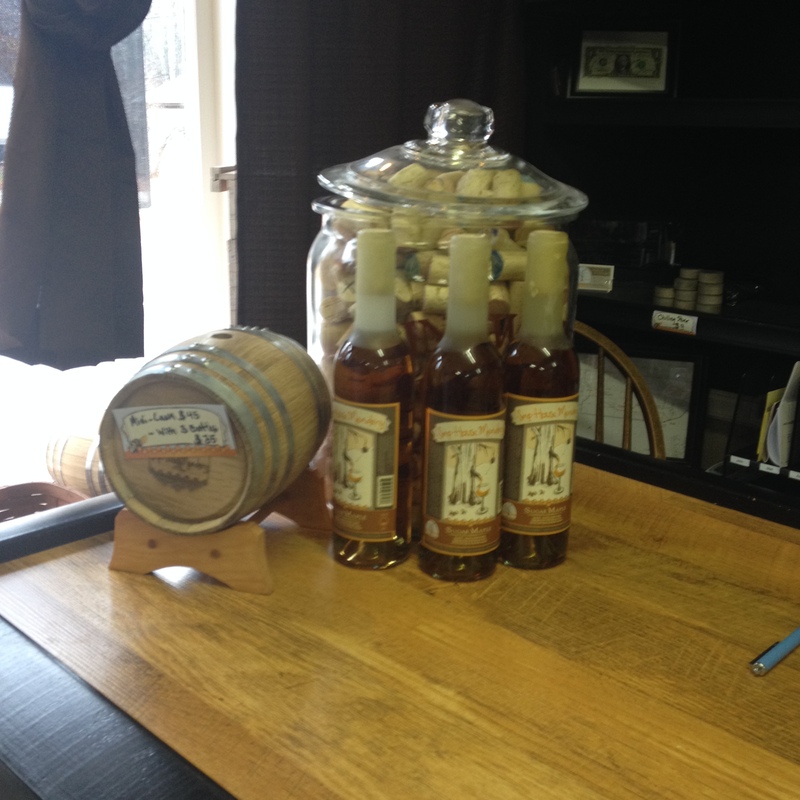 The Sap House Meadery produces small batch, hand crafted meads. A mead is basically a wine made from honey. 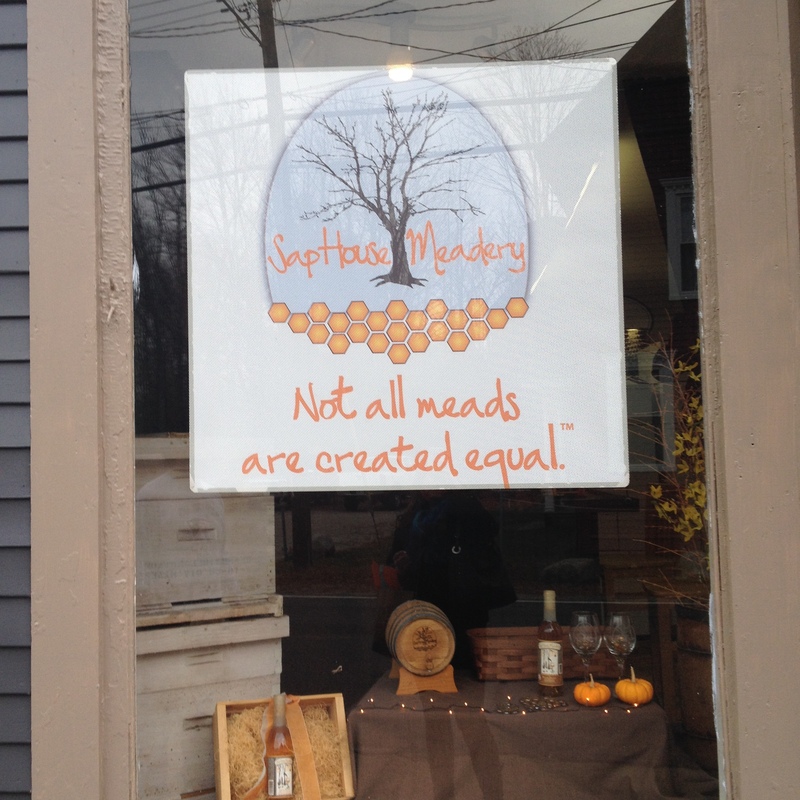 The Sap House Meadery opened in 2010, by Ash Fischbein and Matt Trahan, both from Center Ossipee. 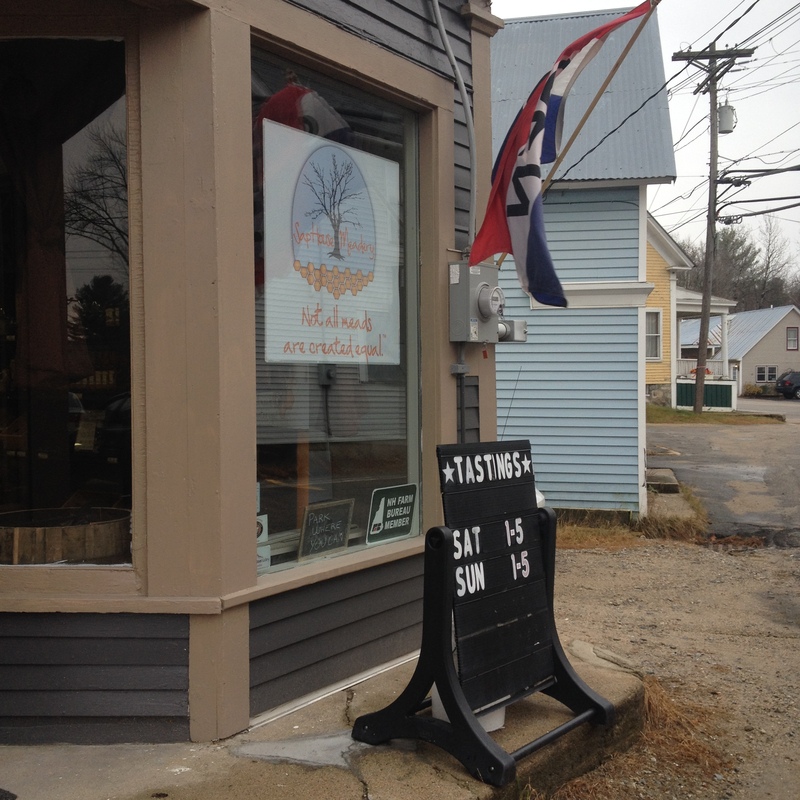 They chose Center Ossipee because they are familiar with the area, and know where to go for local products. They also chose Center Ossipee in hopes of helping the downtown area grow. 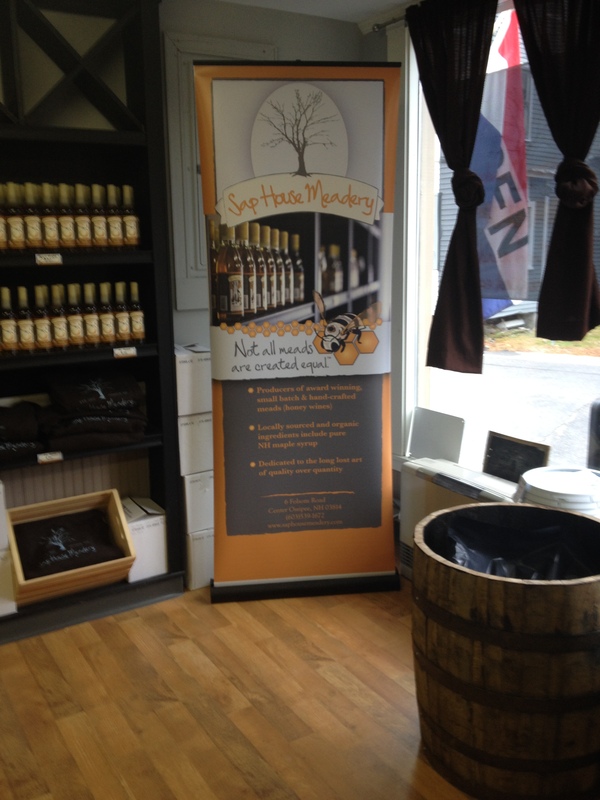 One of the very cool things about Sap House Meadery is that they use New Hampshire Maple syrup in a lot of their meads. 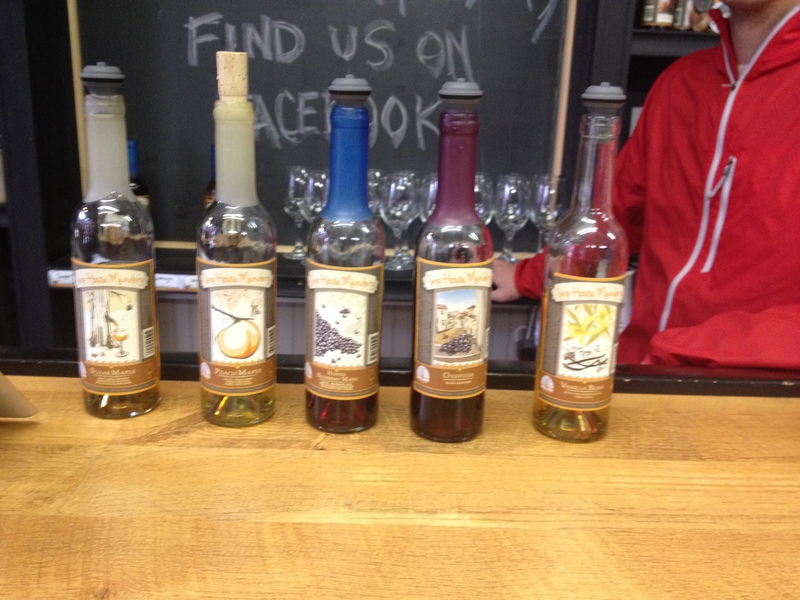 They focus on using local ingredients in all of their meads, and make mead in the traditional way. When they heat the mead, they do not heat it over 90 degrees Fahrenheit in order to maintain the delicate flavors. 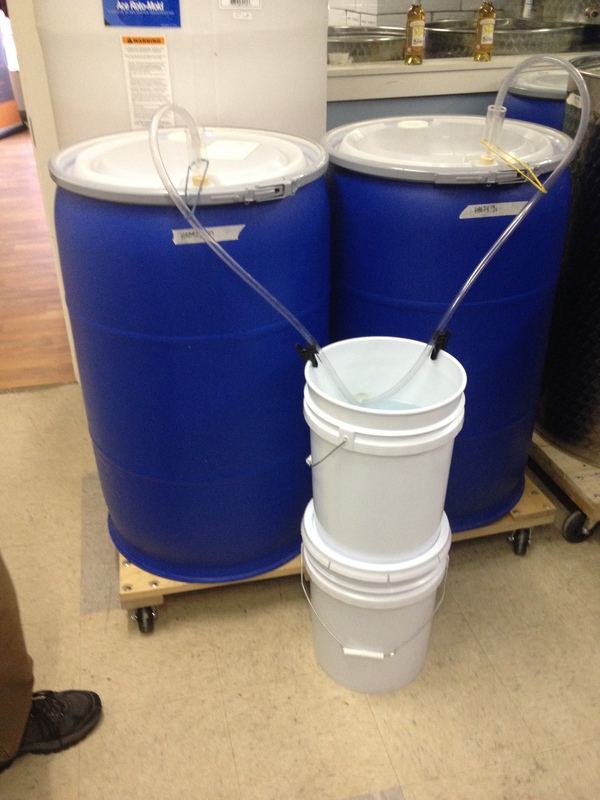 Other mead producers do boil their mead, as it the stabilization process go faster. Sap House Meadery takes between 6 months and a year to produce a batch, as they would prefer it to be a better quality and self stabilize. When you visit, you are able to tour their facility. 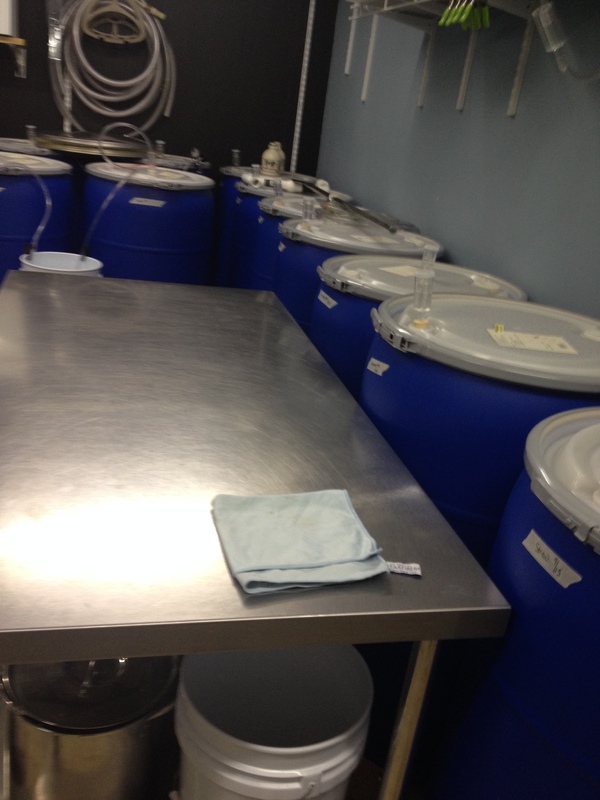 At this time, they are operating in one large room, with fermenting tanks lined up all around. 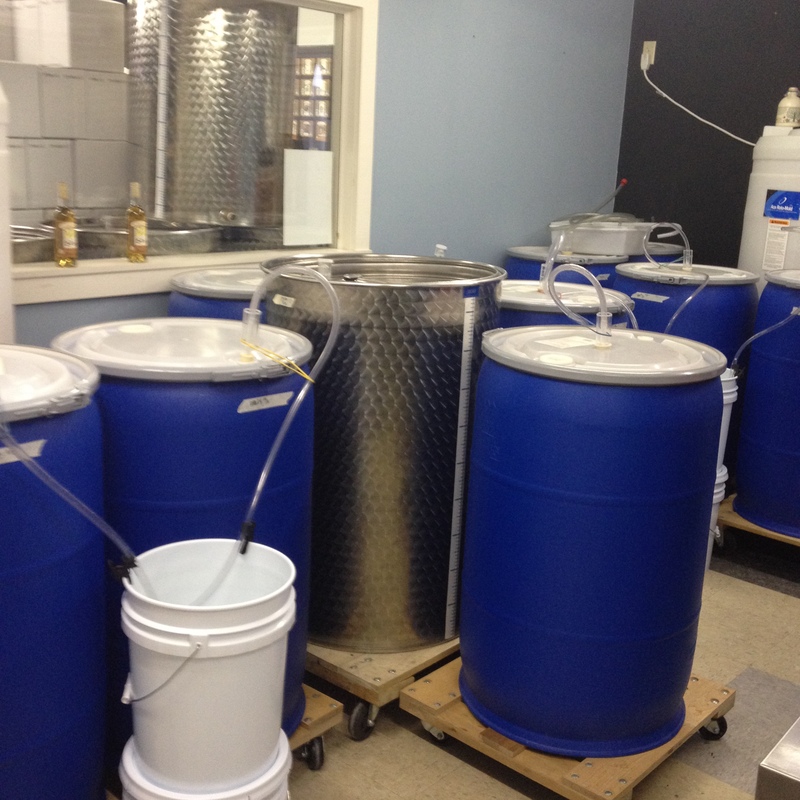 During our tour, we were told about the process of making mead- mix honey, water, flavors (fruit, etc) and yeast together. The type of yeast varies depending on what you want the final product to be; Champagne yeast for the vanilla mead, German yeast for blueberry and yeast made from the grapes they use for their Ossipioja mead. The cooler you can bring the mead down to ferment, the smoother the mead becomes. 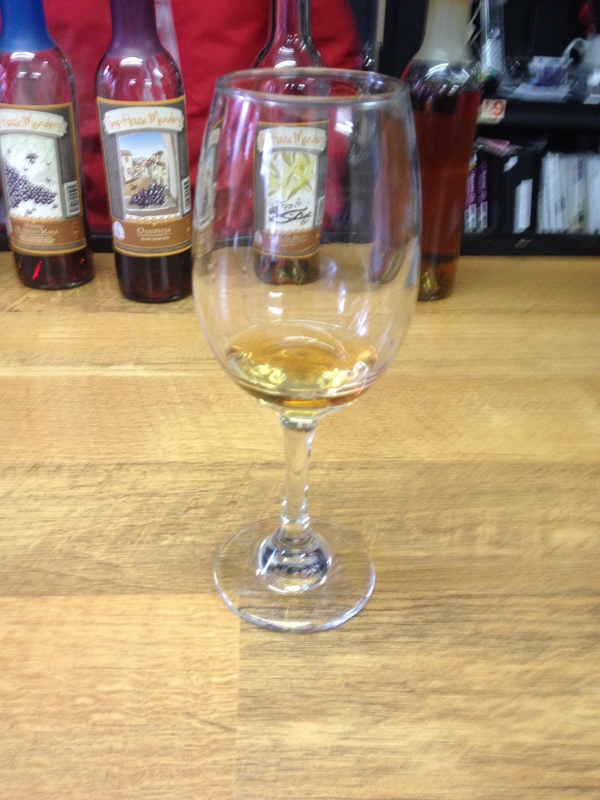 After the mead ferments for 8-10 weeks, you can drink it but it is harsh. Time is necessary for the flavor to fully develop. During the fermentation process, fresh ingredients are added to make the flavor layered. Everything at the meadery is done by hand. 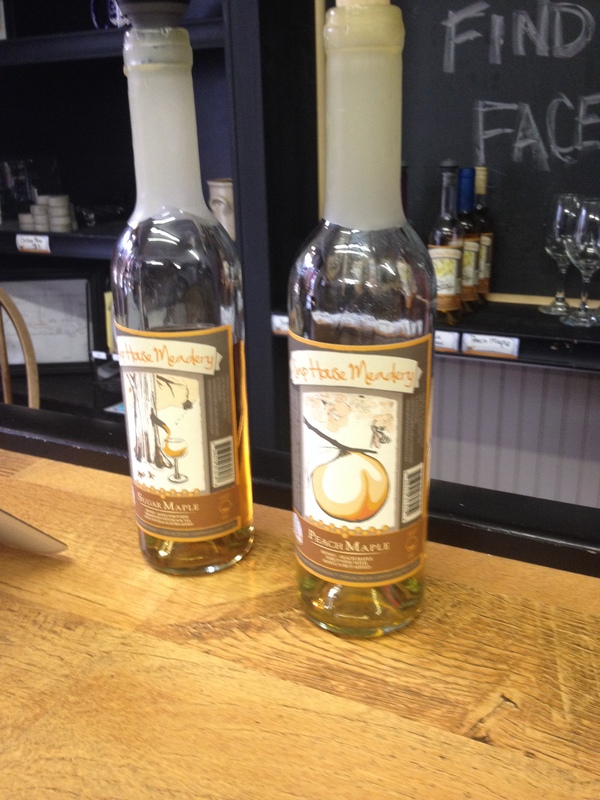 The mead is bottled by hand, labeled by hand and then dipped in beeswax by hand. They were initially going to use a foil top, but, if they were to have one without grapes on it, they would have needed to order half a million! Wax creates a nice touch. The color of the wax depends on the color of the mead and the label. Their busy time of year fluctuates, depending on where they are distributing to and what traffic is like there. During the summer, they are busy due to people traffic in New Hampshire. At this time of year, they are busy in part because of gifts, and part because of distribution to areas like Virginia and Washington, DC where this time of year is popular for travel. Looking to visit? They are open Saturdays and Sundays from 1-5.